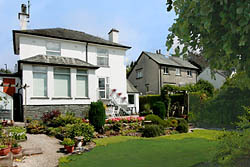 Rosemount is part of the owners’ house, being a studio flat with its own entrance, situated in a quiet position close to the centre of Ambleside. There is ample parking and gardens with your own sitting out area. 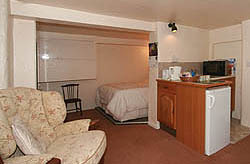 It is equipped with a comfortably furnished lounge area, a double bed and small kitchen, including a microwave, fridge and toaster. There is TV with a DVD player. A separate bathroom has shower and WC. Jill and David are very happy to advise on walks, amenities, restaurants etc. in the area. 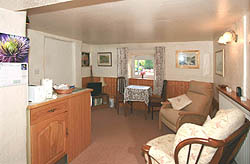 The flat is available all year round. 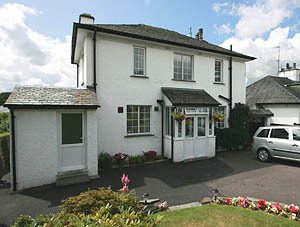 £60.00 per night (for two persons).